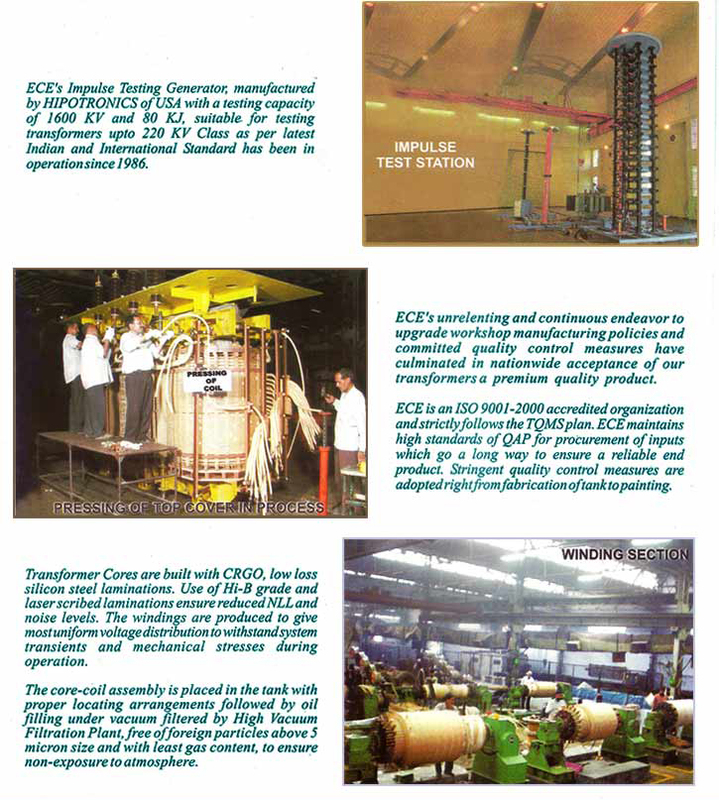 Welcome to ECE INDUSTRIES LTD.
ECE is the oldest multiproduct and multilocation electrical equipment company incorporated in 1945 by B.K.Group having Transformr Plants at Sonipat (Haryana) and Hyderabad (Andhra Pradesh) accredited by ISO Certification.ECE is manufacturing Power Transformer upto 220kV class upto 1oo MVA Capacities and has supplid over 85000 Transformers to various State ElectricityBoards, Power utilities, Northen Railways, Defence and Industrial Units. 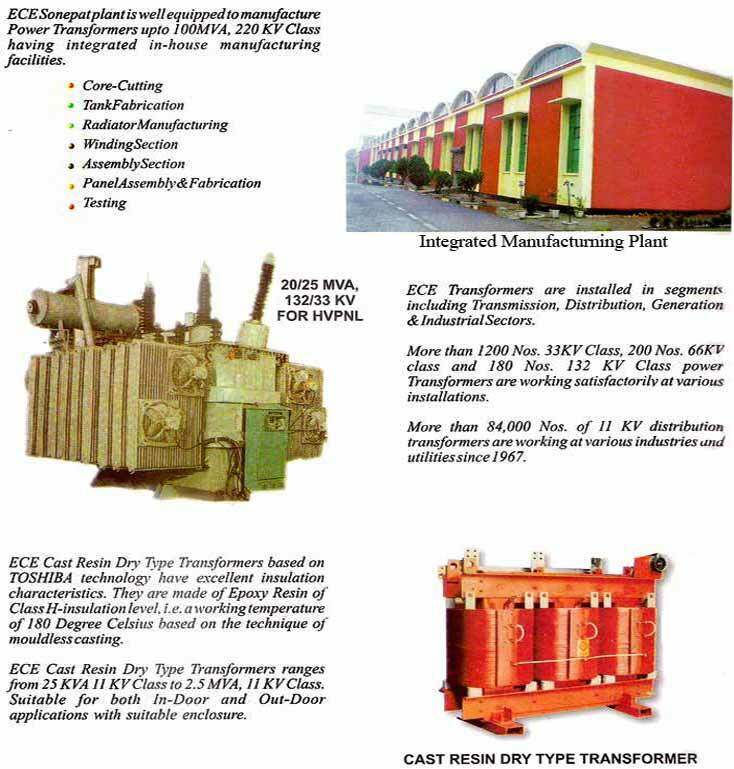 ECE is a regular and approved supplier of Power Transformers upto 220 kV class to various State Government Power Utilities and industrial sector. The product and servics rendered by ECE are always in compliance with specification and are tailored to give comlpete satisfaction to the customer. 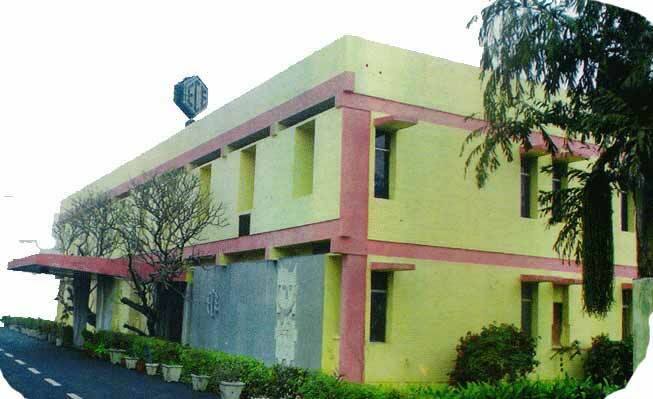 The products manufactured are successfully type tested by National accredied test houses and in compliance to relevant Indian and International standards.